Islam and Muhammed. Allah. Here is a complete historical study of ancient historical study of ancient origins of Islam, Muhammed, and Allah. It is a highly researched, easy to access book of 380 Allah, Divine or Demonic? tablets found in the library of ancient Sumer. The background is copyrighted by Steve Van Nattan. Sumerian history and ends in Mecca. from the Babylonian and Sumernian empires. of the Hajj of Allah from Sumer to Mecca. Chapter Four- Who is God? Chapter Five- What does the Koran Teach about Sin? Chapter Eight- Are the Koran and the Bible Changeless? Chapter Nine- Is Allah in The Bible? Chapter Sixteen- What is God's Name in Arabic? 1. Are the biblical Ishmaelites the Arabs of Today? 2. Did the Roman Catholic Church Invent Islam? 5. Is Allah the Moon god? 7. Zionism- What is the Biblical answer? 13. Does the Aramaic Bible or Peshitta call God Allah? That is almost 6 million a year ! 23. Farrakhan Exalts Jesus Christ? Is Islam getting gentle? of the Mosque and "Holy Men"
Certain national governments are now censoring Internet access. on this site before we are blocked. 1. Send email regarding this issue, and get our email address in your records or in your address book so you can request the book by email at a future date. 2. Order the CD of this online book on Islam. See the next box below. 3. Load my .zip files of all of the pages of this section on Islam to your hard drive at once. Be very sure to unzip both files into the same directory so my links on this page will send you to Samuel Zwemmer's books. 4. Make arrangements with a friend in a neighboring nation to access this site for you. He could then forward the pages to you in email. If you live on the border of a more free nation, perhaps a friend in that nation will let you piggy back his wireless network. 5. Print copy-- If all else fails, we are considering offering a print copy of the online book as it appears here, NOT in traditional book format. This will be quite expensive though. 6. If you are reading this online book from a computer outside your home nation, you should put a CD in the CD ROM (if it will burn CDs), and right click on each page of this book and save each page to the CD. You may then take the CD home with you at your own risk. 7. Look into downloading this site via cell phone, and satellite. You will NEVER hear of censorship anywhere on earth which is done on behalf of true Bible believers. It is Islam, Hinduism, Buddhism, Mormonism, JWs, Charismatics, Paganism, Satanism, Shintoism, and Catholicism which want the voice of Bible believers squelched. Those of us who teach the truth from the Word of God alone do not care about censorship. The hate and attacks of the other religions and Atheists serve our purposes. We welcome their false accusations and profane slander for it serves to keep the discussion going. And, we win in Christ. That is why they want our voice stopped. Censorship of our message is a powerful witness that we are speaking the truth in love. Later note: Because of the Hate Crimes Act of the USA, and because our national leaders promote Islam as a religion, this site may be removed completely any day. Please Zip the site to your hard drive at once if you think you will want to read it later. See point 3 above. proper identity on the ORDER FORM. Pay $ 7.50 which includes shipping. Any web site which posts this online book, or any part thereof, without our permission.... or, any web site which posts this book with our permission but alters the format or content in any way.... is subject to our vehement disclaimer. We will reject ALL of their content as provocation and misrepresentation. There is an ongoing attempt in many nations, including the USA, to force national leaders to pass laws limiting free speech. Muslim, Hindu, Roman Catholic, and Satanic organizations are trying to define truth telling about religion as a Hate Crime and a violation of the Genocide Treaty. Thus, as of July 2007, I am inviting any and all who have an interest in informing the world about Islam to post this book on their site in its entity. We ask you only that you communicate with us first, and we ask that you in NO way alter the format or content except to add your identity to only the page you are now reading. If you would like to add footnotes to the rest of the book, you must submit them to us first for approval. We will not always forbid your contrary opinion, but we WILL forbid you from undermining the thesis of the book as a whole. Write your own book and web site if you wish to do war with the truth. SEND MAIL, ask permission, and then post this book. Get the truth about Islam and the Gospel of Jesus Christ posted in so many places that it cannot be obliterated. This is an online journal by the author of this book, Steve Van Nattan. Much comfort and Bible teaching it available for both the Christian and the casual visitor. to check the Bible references I use. You can use the above Bible text to check the Bible references I use. Author's number in my bibliography. Pages in the author's book providing cited information. Page in my bibliography index. This helps me to find proofs you request. footnoted item. I will have to limit this to the time I have available. Activist to expose Islam as evil and the solution as he sees it. If you wish to contact me, send E-Mail. flames. If you will not read further, I shall ignore you. Father Zacharias shows how the Koran contradicts itself and how profane Muhammed was. This man is a Coptic priest within the old church order of Egypt. From that position he has taken such a high ground in his faith in Christ that Islamic powers have put a price of $ 25 million on his life, dead of alive. When I did my research for this book, the Internet was only a novelty. See it before the earthquake from Jehovah destroys it. Useful on many topics, though the King James Bible is not always used. contrary to recent events and impressions. 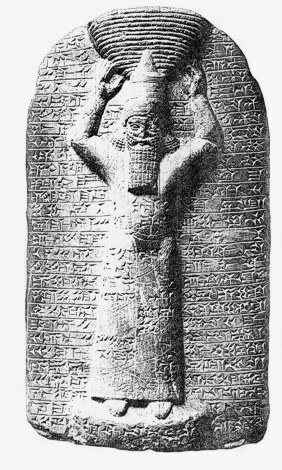 Note: The cuneiform background used here was our invention. While we ordinarily don't mind you using our graphics, this one is very special to this page. Thou shalt not steal. Nor may you steal theArab on the camel or the banner. These are copyrighted exclusively and will be defended at law.